I was looking for a white wine that would pair nice with a fish and a roasted beet salad that Chris was going to make for dinner. 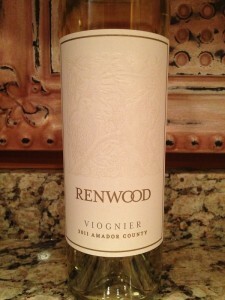 Remembering how good the Renwood Viognier tasted at the Nectar Wine dinner, I decided to grab a bottle from the cooler. 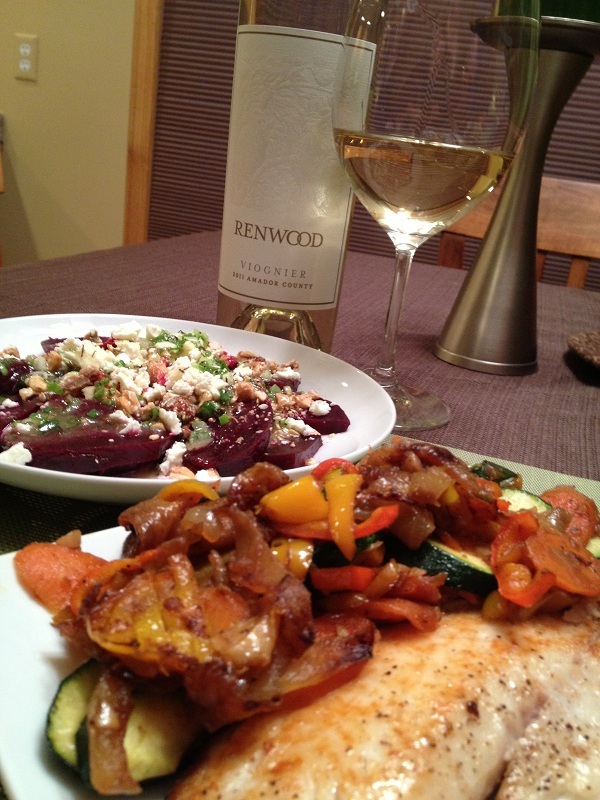 I figured the slightly sweet and balanced acidic Viognier would hold its own with the roasted beet salad. 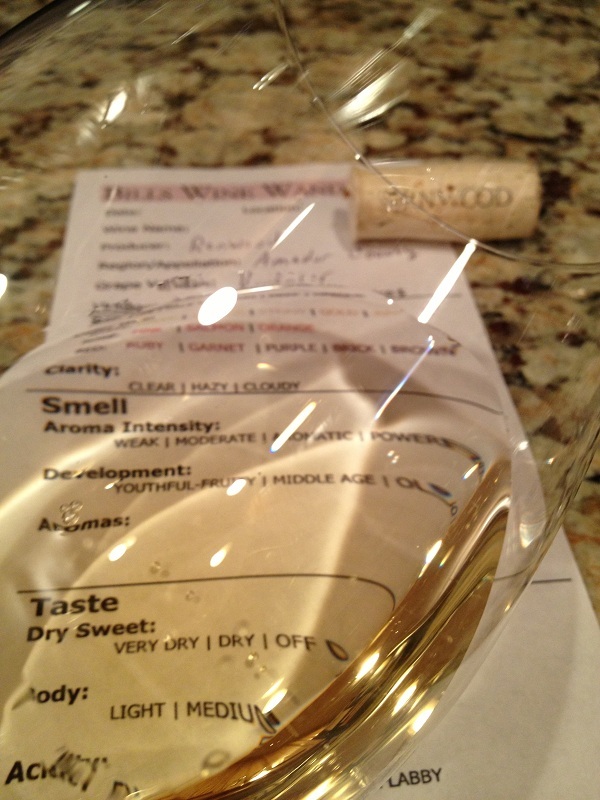 The Viognier was very aromatic and smelling fruity and young. I could smell Apple, Pear and or citrus fruits. Slightly sweet and medium bodied. The acidity was right on and my mouth watered with every sip! 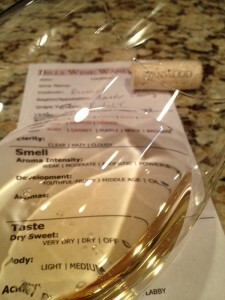 This wine was very flavorful and the initial taste was buttery with a citrus finish, which was long. 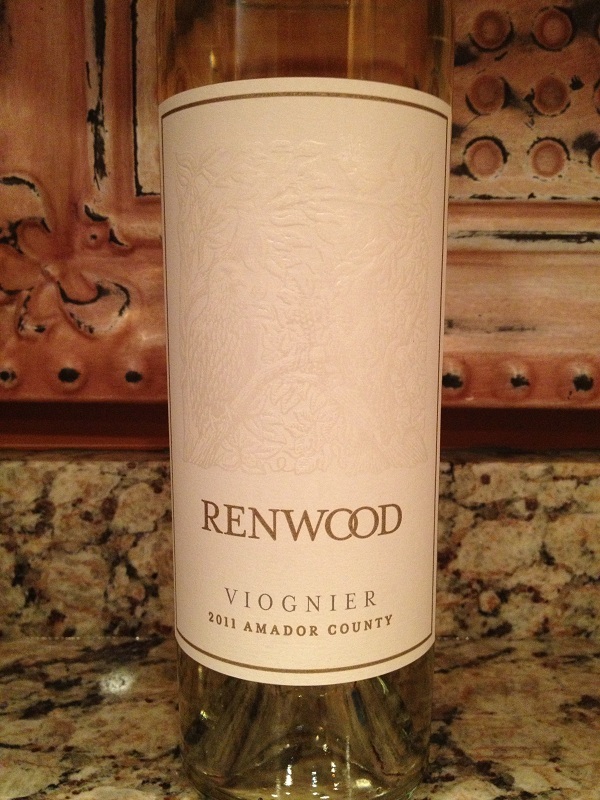 We rated the 2011 Renwood Viognier four glasses. It paired very well with our Tilapia, fresh veggies and the roasted beet & feta salad.